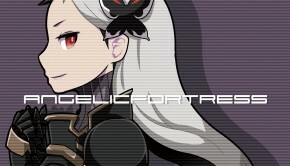 Kumi Tanioka is a name gamers often associate with the Final Fantasy Crystal Chronicle series. She left Square Enix in 2010 to be a freelance musician. However, Tanioka had been keeping a low profile lately and her last major project was Ragnarok Odyssey ACE, released two years ago in 2013. Finally, Tanioka announced earlier this year that she will be releasing her non-gaming first solo album: Sky’s the Limit: Kumi Tanioka Piano Album Vol. 1. The album contains six solo piano tracks composed, performed, and produced by Tanioka. The album opens with “Ukou”, the fragrance of rain. The piece starts with arpeggiated figures in the higher register, like gentle raindrops, before introducing the melodic line. The next section has the left hand carry repeated chords as it ventures into the lower register, which can be interpreted as the rain getting heavier, while the right hand plays a repeated motif. In the final section of “Ukou”, the right hand carries a sparse melody above the large sweeping arpeggiated figures by the left hand, giving the image of a torrential downpour. “Fuyukodachi”, the trees in winter, begins with just the melodic line on the right hand and broken chords by the left. The solemn mood and the ringing tones sustained by the pedal evoke the image of the bleak landscape of winter. The same melody is repeated in the next section but the left hand carries bigger and lower chords with increased frequency to give the piece more momentum. After some descending scalar phrases and repeated chordal motifs, “Fukuyodachi” finally concludes by repeating the melody from the start. “Kaza Hana”, the flowers in the wind, utilizes multiple recurring ascending motifs to paint the image of the movement of the flowers stirred by the wind. Most of the piece remains relatively calm with just the motifs in close harmony. But there is a section in the middle with rapid descending arpeggios, which signify a brief moment of violent wind. Like “Fuyukodachi”, “Kaza Hana” ends with its starting motif as well. “skyscraper” starts with a four chord progression, which will be repeated by the left hand throughout the piece, while the right hand plays a scarce melody, not unlike the setup of a jazz piece. There is minimal development in the piece as it stays light and calm right through. The only noticeable change happens towards the end as the right hand cross over to the lower register to play some repeated single notes. Finally “skyscraper” fades away as the left hand continues to play the same chord progression. “Reimei”, dawn, begins with a slow melodic line and sparse chords. In the next section the left hand plays a repeating two-note pattern and there is an obvious shift to a more major tone from the previous part, as if the first light of the day is here. There is a fake modulation at the end of this section but the piece soon returns to its original key again. 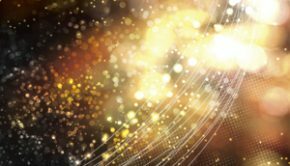 And then the left hand breaks free of the two-note pattern and play notes sequence that flow smoothly across a wider range, like the sun has finally risen up to disperse the darkness. Lastly, the album closes with the titular track, “Sky’s the Limit”. The piece can be divided into three sections, each a variation of the recurring melody. The first and starting variation is a short one that focuses solely on the melody with few supporting chords. The second variation fills in more notes in between the chords to creating a continuous flow. The third variation utilizes big chords throughout to create a resonant sound and build towards a grand ending. 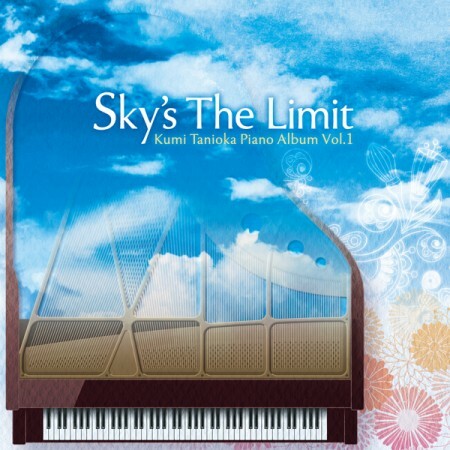 Sky’s the Limit: Kumi Tanioka Piano Album Vol. 1 is a personal work that connects with the listeners in an intimate way. 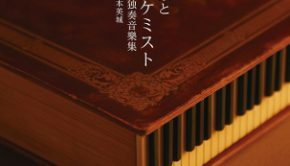 While the pieces in this album does not have the pomposity of complex piano arrangements such as the Piano Opera series, each and every note in Tanioka’s solo album feels purposeful and plays a role in telling a story. It is a soothing album that one can listen to on repeat for a long time. While Sky’s the Limit is a short album with only six pieces, it is definitely a worthy purchase for fans of Tanioka and listeners who enjoy new age music. Posted on July 17, 2015 by KT Wong. Last modified on July 17, 2015.